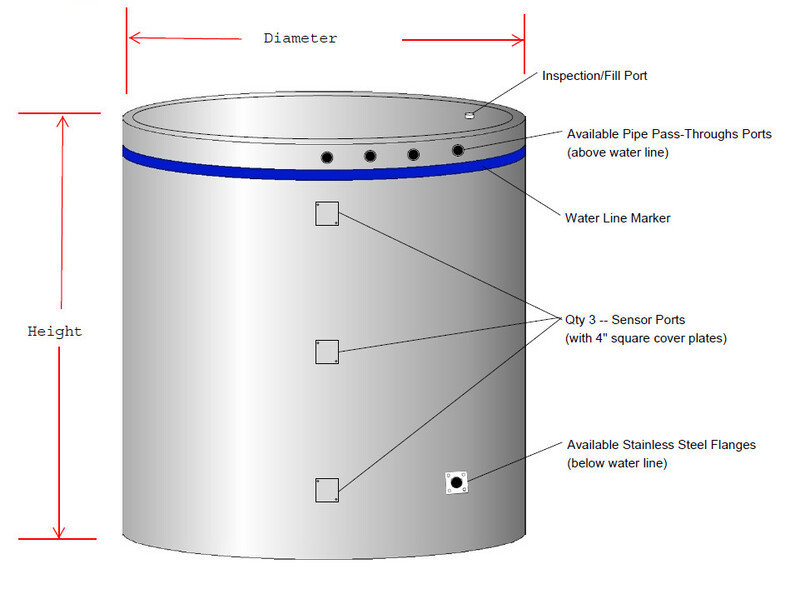 STSS large scale solar storage tanks are the most cost effective means of large scale thermal storage. With sizes starting at 120 Gallons to 5000 Gallons, our large commercial solar storage tanks have the advantage of going through any size door as they ship on a pallet just 19” wide x 53” high. This is very important as access to boiler rooms makes installing larger commercial solar tanks difficult if not impossible. 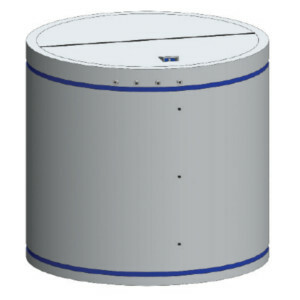 Even more amazing is our solar storage tanks can be assembled within an hour from uncrating! 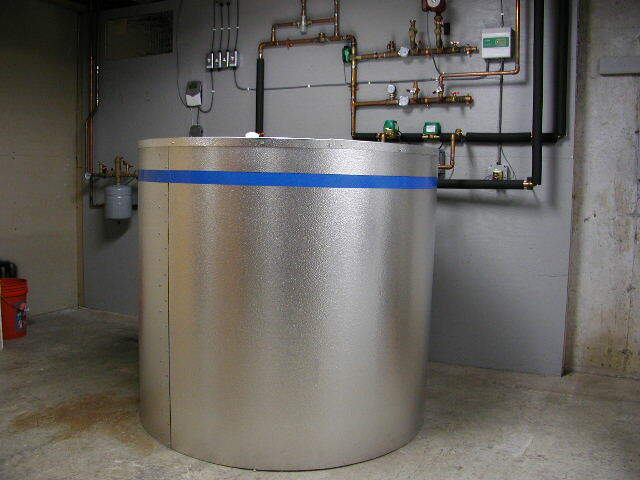 The tanks are not designed for potable water rather buffer energy through water storage and this energy is transfer to and from the supply and loads via internal copper heat exchangers. 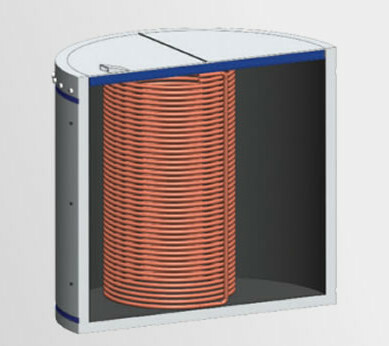 These heat exchangers can be sized to fit the demand and supply loads of virtually any project. 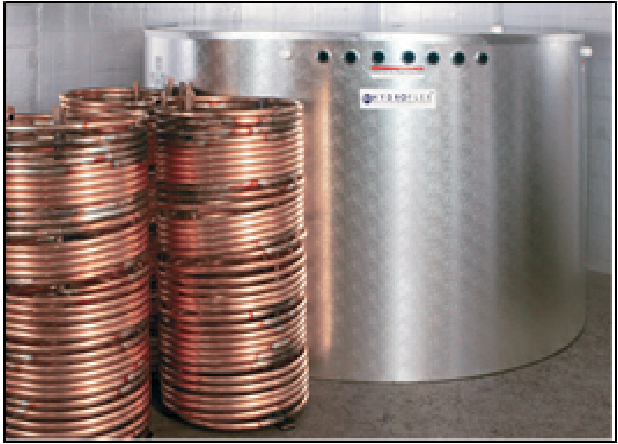 From domestic hot water to space heating as well as swimming pools, these heat exchangers can be sized to match any project. 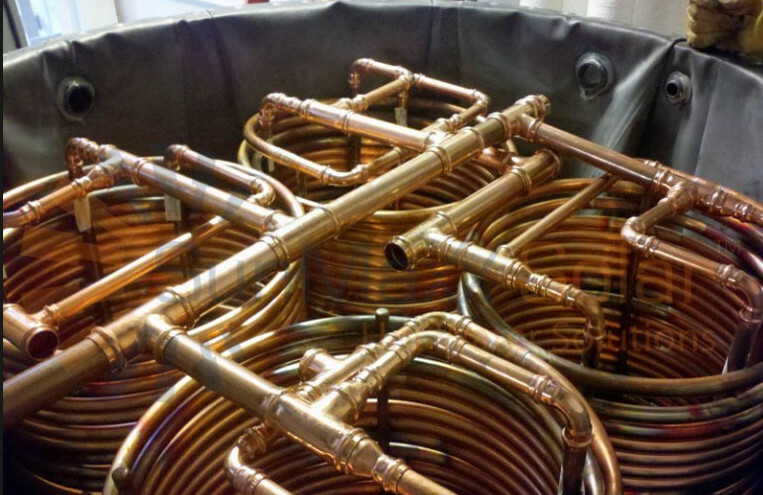 They are 3/4" copper coils and come in lengths up to 180 feet which can be combined in parallel for even larger systems. We can help you with sizing so give us a call 1 800-759-8990. High Insulation Value with 2 degree of heat loss per day.